Home / News / Philippines / Jesse Robredo's museum, more important than Bicol Express' rehab? Jesse Robredo's museum, more important than Bicol Express' rehab? Here's a very important open letter for Madam Leni Robredo. Could you please stop talking about something you obviously don't know? Do you seriously know why Sri Lanka is in a debt trap? Apparently not. It's not because Sri Lanka took out Chinese loans to build infrastructure, the Hambantota port. A simple RESEARCH on the issue could have lead you to this BBC article, which succinctly explains why the Hambantota port was a failure, making Sri Lanka trapped in a cycle of debt. The island's total debt stands at $64bn. About 95% of all government revenues go towards debt repayment. And when some of that money borrowed has been seemingly squandered on infrastructure that shows no sign of turning a profit, that is even more damaging." So instead of blaming loan, you must blame poor planning. Infrastructure must aid economic growth. If infrastructure development leads to economic flourishing, then the loan could be paid off easily, avoiding the so-called debt trap. 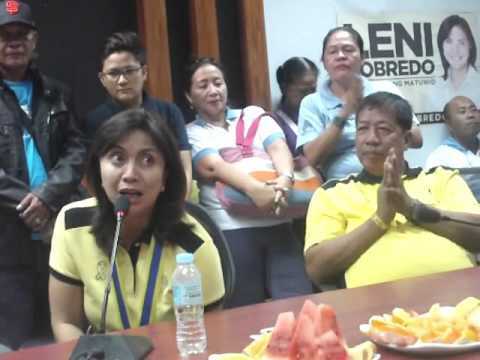 So instead na magbubunganga ka diyan ng mga "slogan" at shallow assessment of what happened in another country, PLEASE lang Mrs Robredo, prove to us that you are worth your salary: present to us an ACTUAL analysis that the infrastructure development in the Bicol region or anywhere in the Philippines financed by Chinese or any loan would suffer the same fate as Sri Lanka's Hambantota port. Eto ang clue Mrs Robredo: If you can demonstrate how the Bicol Express rail system financed by Chinese loan wouldn't generate economic returns like what happened to Hambantota port, then tama ka. But honey, you have to show it with an actual analysis, hind iyong nag-iisue ka ng mga apocalyptic statements. Originally posted on Sass Rogando Sasot's Facebook page.